Blog discussing the ancient writing systems created by Black/African people in ancient times throughout the world. Dr. Clyde Winters, has taught in the Chicago Public Schools for 36 years. He has taught Education and Linguistic Courses at Saint Xavier University-Chicago. As a teacher in the Chicago Public Schools Dr. Winters wrote State Standards in the 1990's for the Chicago Public School system and Common Core State Standards for Social Studies. He also wrote the 6th Grade World History Lesson Plans used in the CPS in 2000. Some researchers reject the idea that Malians came to America in 1310. They base this conclusion on the myth that the first Africans came to the Americas as slaves. As you can see the Malian royal from Brazil wears the sleeveless tunic, skullcap breeches reaching down to the knees,as described by Europeans who visited the Mali Empire. 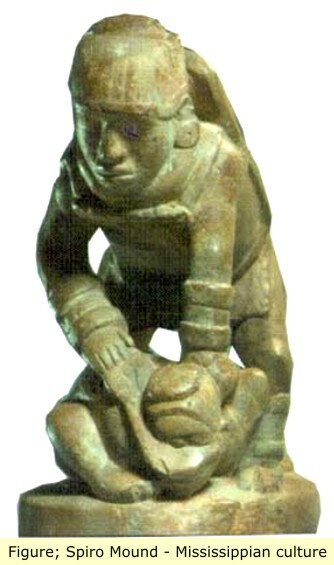 Below is a statuette from the Spiro mound. This figure also wears a skullcap and breeches. He also has a shield on his back. This is interesting because Malian marines usually were armed with a leather shield and short sword. This spiro mound figure may be a representation of a Malian marine. 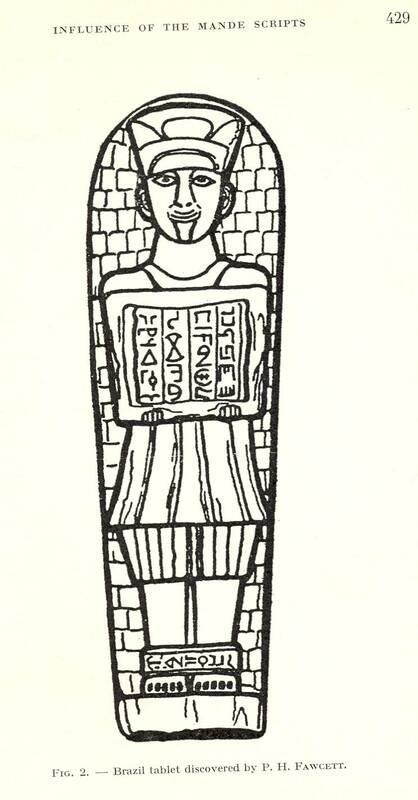 Below are some short swords and other figures with knee-length breeches, found in the Spiro mounds. 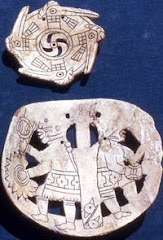 These artifacts show the influence of Malian explorers in building mounds in North and South America. Well, well, the truth will, and has gracefully surfaced. Since I was a child, I've always felt, or known that this world was created by Abibirifo, the black men, and women towards the betterment of the human kind...I do admire the euro/albion of its, excuse me, their quickness to have at least gained a somewhat similar, although harsh but an understanding of this world. If only they had a sense to put ‘reasonable’ into the right mindset, so much more could have been achieved,than the simpletons of greed, and power, as the rant, and whine of a child to go first.